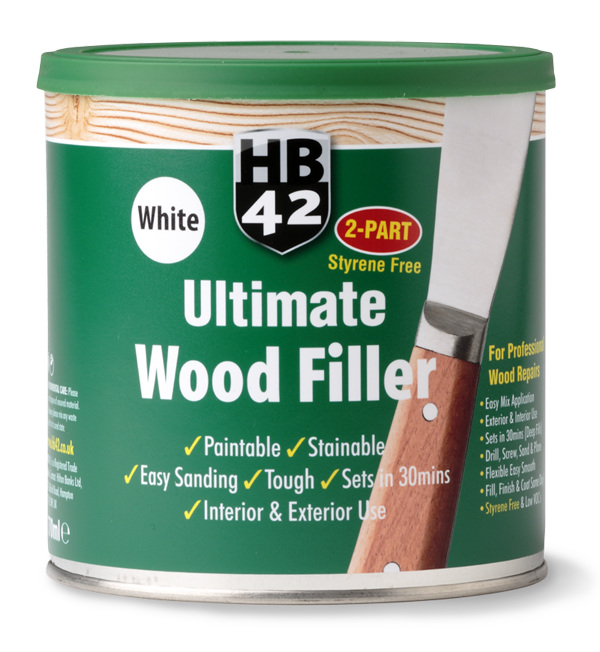 HB42 White Wood Filler is a 2-part, styrene free wood filler that provides a tough, long-lasting repair on all woods inside and out. 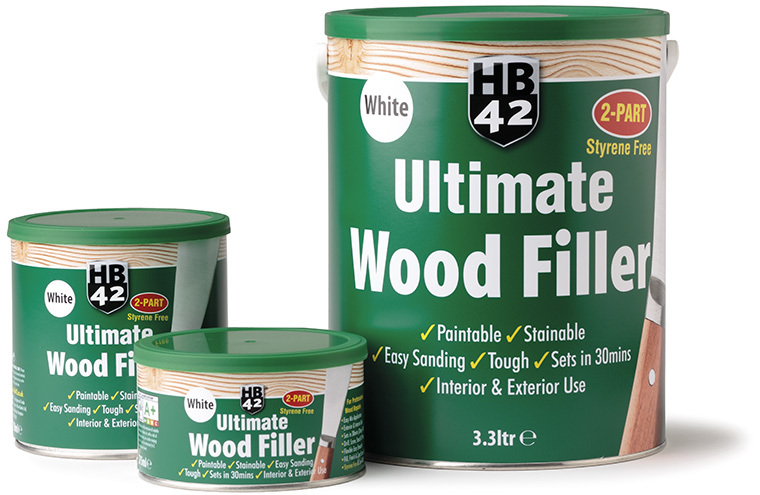 HB42 Ultimate Wood Filler for all professional wood repairs inside and out. Easy mix application, the filler sets hard to a strong finish in 30 minutes for a weatherproof repair. Once dry, it can be drilled, carved, sanded or planed. It is paintable and even stainable! Perfect for repairing wood damaged by wet rot on furniture, window sills, frames, doors, banisters. 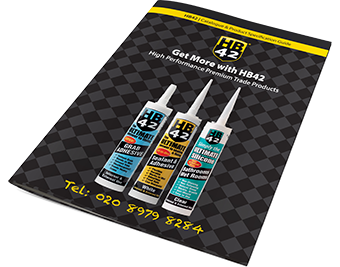 It can also be used on grain filling and repairs to shakes, cracks, splits and knot holes. It can even repair wooden constructions including some marine applications. Available in Medium 275ml (equivalent to 500g), Large 770ml (equivalent to 1.5kg) and Trade 3.3ltr (Equivalent to 6kg).